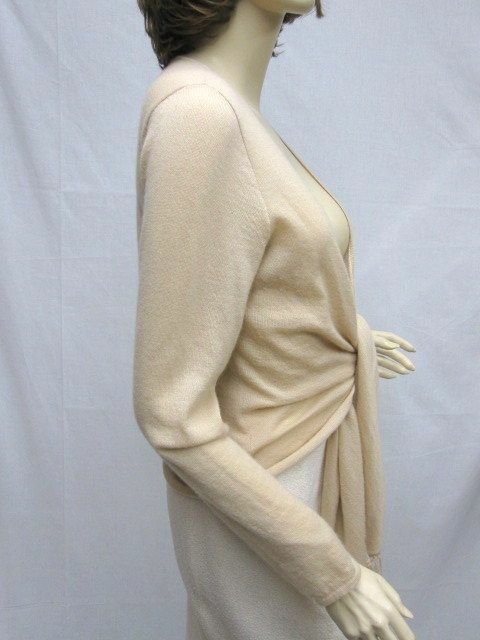 Click the button below to add the St John Knit Beige Cashmere Jacket Wrap SIZE M to your wish list. 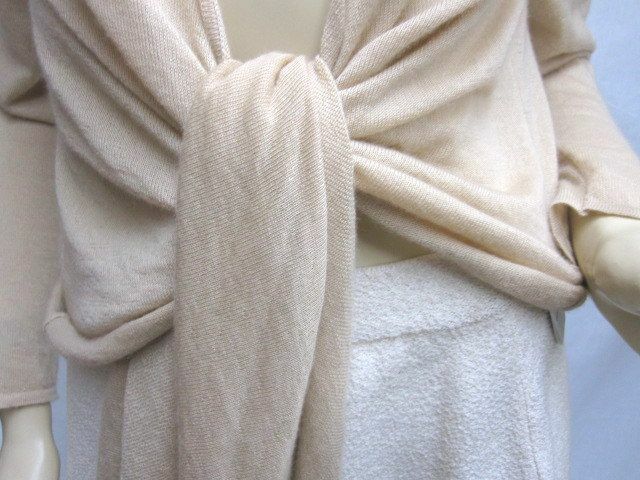 CLASSIC 4 You St John Knit NWOT BEIGE CASHMERE JACKET WRAP SZ M. This a very nice elegant beige cashmere short jacket style wrap. 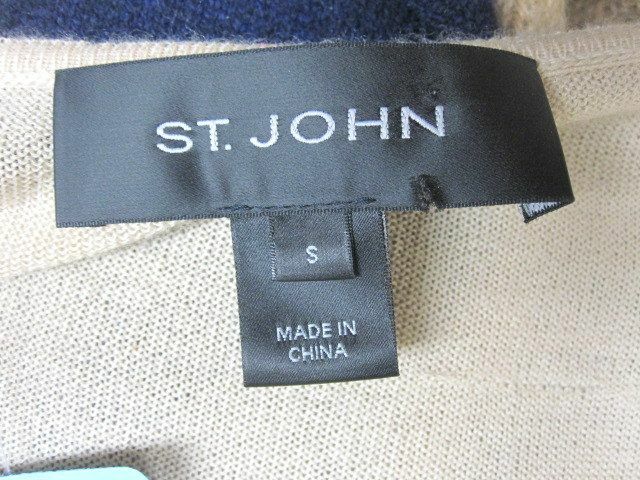 It ties in front with a fringe trim.Perfect lightweightwith all. 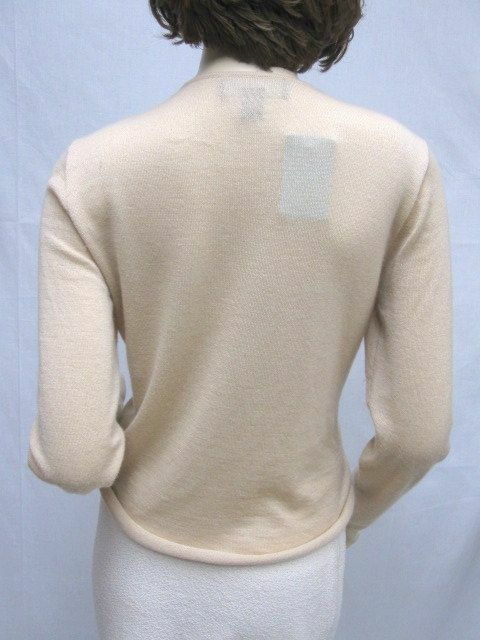 Shoulders: 16 12" Bust: 40" Length: 24" Sleeve Length: 26"
This jacket is in a good condition.